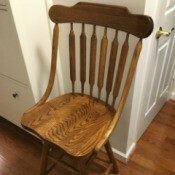 Tips and information on finding, storing, and selling used furniture. 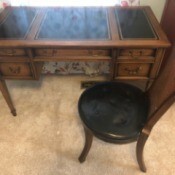 Value of a Desk and ChairPlease let me know if you have any idea about the value of this desk and chair. 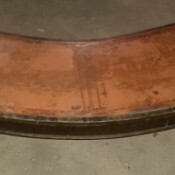 Identifying a Coffee TableI found this coffee table at a yard sale. There are no markings or stamps as to where it came from or who made it. Is this a Mersman table? Finding the Value of a Bar StoolI have a bar stool in very good condition. There is not any label or logo to find the brand and I don't no how much it is worth?